Fellow fashionistas/ people who can’t pass up a J. Crew sale (looking at you, boyfriend), we share a problem. Having too much stuff and not enough closet space. Not even a chest of drawers for non-fancy clothes can contain my love for polka dots/ soft crew necks/ colored jeans. Here’s how I handle this tragic issue. 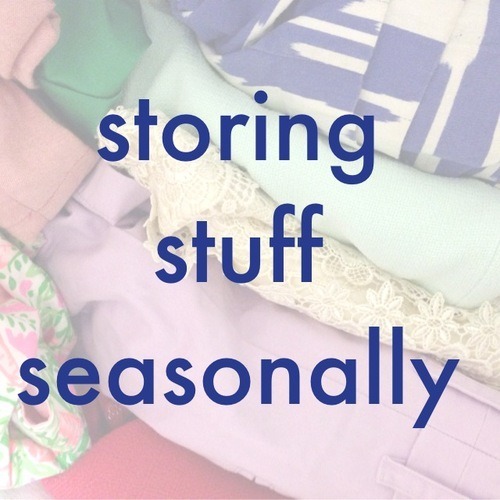 I keep all of the clothes for the “wrong” season in the SKUBB, a fabric storage bin made by my Swedish overlords at Ikea. It was cheap and FAR more effective than the SAMLA Ikea clear plastic tote box (NEVER buy one, the lid does not lock). 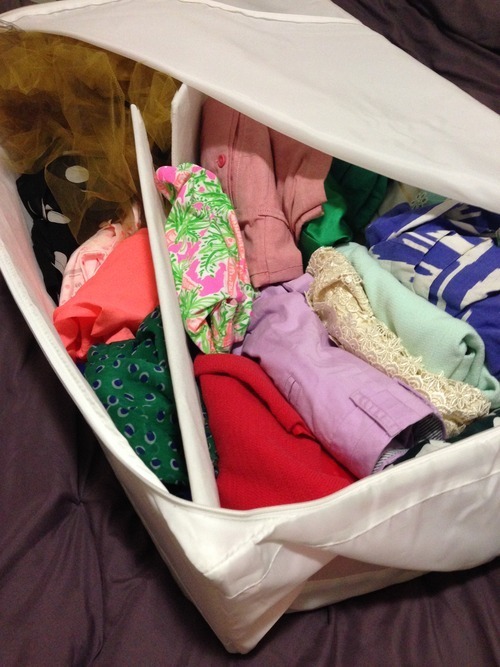 Whenever it gets too cold to wear my shorts and tank tops, I fold them all carefully and stash them in the SKUBB. That’s where they will live during the winter, when I solely subsist on J. Crew Tippi sweaters and jeans. Here’s a photograph of my SKUBB. As you can see, there’s a little fabric divider inside that I use to separate tops from bottoms. Also, there is a tutu in there. I was in my sorority’s homecoming performance and I didn’t have anywhere to store this part of my costume. SKUBB to the rescue! How do you store clothes that you’re not wearing? It used to make me angry that they took up so much space, but I couldn’t even wear them! Thoughts?